What Can I Substitute For Dry Mustard? Which Is The Best Alternative? →What Can I Substitute For Dry Mustard? Which Is The Best Alternative? What can I substitute for dry mustard? This seems to be a famous question not just for me but for the majority of people who are cooking a favorite dish but runs out of the needed ingredient. At first, I was a bit hesitant to look for alternatives but good to know that we can really use other spices to substitute the lack of dry mustard. So, I will give you some ideas or options that you can choose from if ever you encounter such a situation of having no supply of dry mustard at all. What is a Dry Mustard? Otherwise known as English mustard, dry mustard is considered as a powdered spice that is made from the seeds of the mustard plant. This spice is utilized to season the sauces, salads, dressings, spice rubs and entrees. Usually, it is made from white and brown mustard seeds. It also lacks the yellow color of the prepared mustard that comes from the addition of the turmeric powder. But where are dry mustards being used? 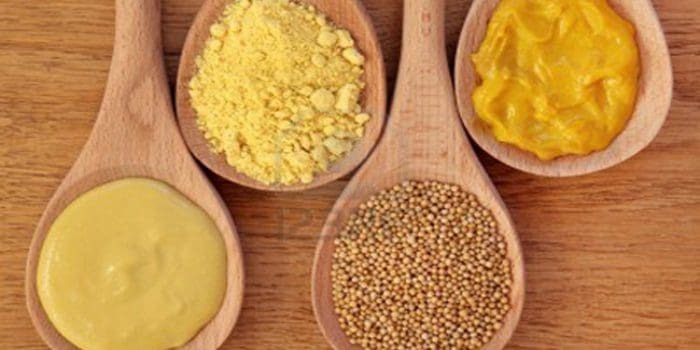 Dry mustard is used in order to add pungency and heat to certain dishes, to create wet or prepared mustards and to emulsify dressings and sauces. Since I was looking for what can I substitute for dry mustard, I should bear in mind that it should depend on the kind of dish I wish to prepare. Let’s say, for example, if you will make a salad dressing, it is more appropriate to pick prepared mustard as the best alternative. Yet, if you are into compounding a spice rub, horseradish powder or wasabi powder are better options. Before choosing an alternative, think about the part dry mustard is supposed to play in your dish! In most groceries, mustard shows up as whole seeds or as a dry mustard powder and as a prepared or wet condiment. In most American supermarkets, the dry mustard powder is typically ground from yellow mustard, and the spicier dry brown mustard is a lot more popular in most Asian markets. The prepared mustard would include vast options of condiments that are made from either type of the dry mustard seeds. Those finely ground seeds are referred to as dry mustard while the prepared mustard is still dry mustard that is combined with a liquid like verjus, wine, vinegar or water to form a paste. So, the flavor and texture of the prepared mustard will vary on the type of mustard seeds used, the ingredients added and how finely the seeds are ground. So, what is the difference between dry mustard and prepared mustard when it comes to cooking? With regards to cooking with dry mustard, just add it as a flavoring ingredient in glazes for fish, pork roasts, and ham. You can also use it to flavor salad dressings, cheese dishes, and curry. And dry mustard mixed with citrus juice or water can be a dipping sauce for vegetables, chicken, dumplings or egg rolls. On the other hand, you can use prepared or wet mustard as a condiment for burgers, meats, and sandwiches. You can add it to a sauce-like remoulade, barbecue sauce, and mayonnaise. Indeed, mustard sauces are considered to be classic accompaniment for meats like rabbit and salmon. And you can also use prepared mustard as a coating alone or along with bread crumbs for lamb, pork, ham, fish, and chicken. What Can I Substitute For Dry Mustard? Indeed, this first alternative is known to be the closest spice possible to dry mustard. Why? Simply because it is the seed used in order to make dry mustard. The only thing you need is a coffee grinder or a spice grinder wherein you can grind mustard powder from the whole mustard seeds. On the other hand, if you don’t have either of the said grinders, you can crush the seeds on a clean surface having a heavy pot or a big spoon. Bear in mind that the crushed mustard seeds could be used as a part of the dry rub or even in a stew. However, it would be too coarse to render the same emulsification benefits that you get from the mustard powder. For those who are using whole seeds, only use half the amount that the recipe needs for dry mustard. Of course, making prepared mustard is also a great alternative. This prepared mustard is made if you combine water, vinegar, and dry mustard. 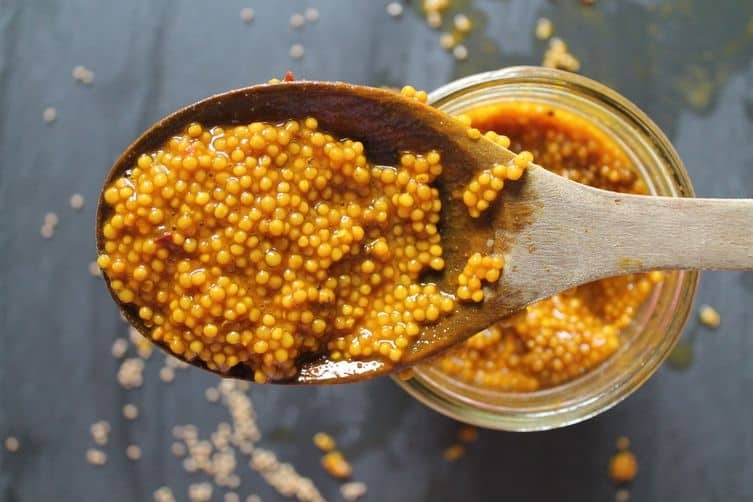 Though it is wet, this option is still an excellent alternative for dry mustard because the primary ingredient itself is a ground mustard seed. But, if you are using it as a substitute, you should follow a rule of thumb about the proportion for the texture and flavor of your dish will not be affected. 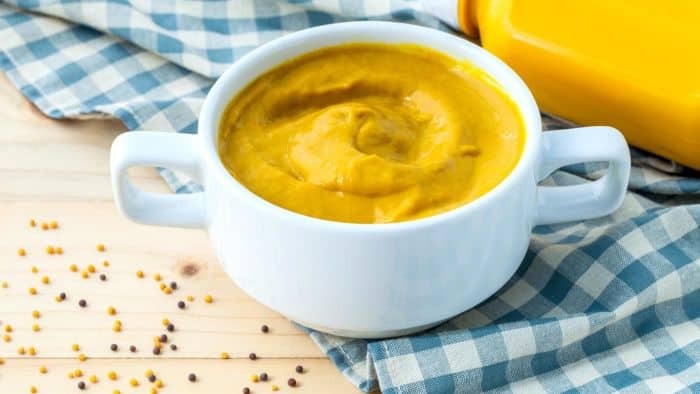 For every teaspoon of the dry mustard powder, you can use a tablespoon of this wet mustard and just reduce the quantity of the liquid in the dish by a tablespoon. Prepared mustard is an ideal substitute in salad dressings and vinaigrette. Another option is the wasabi powder. 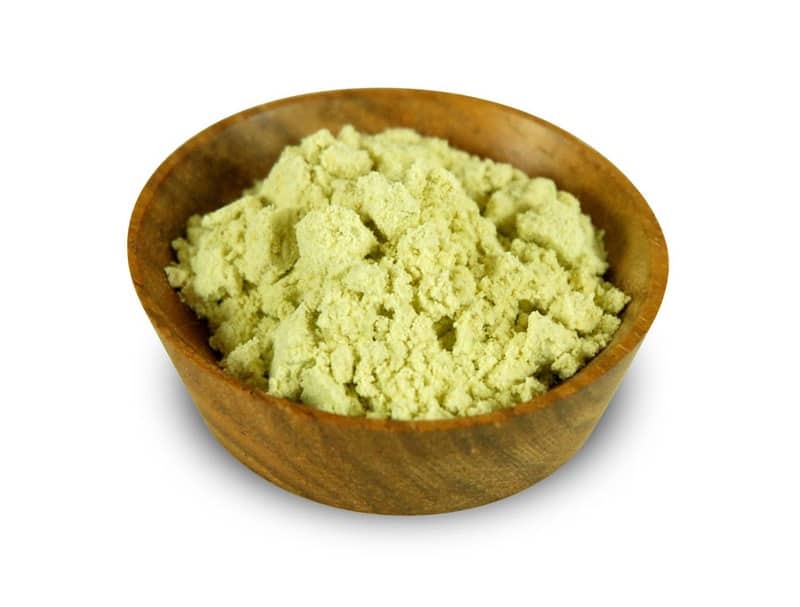 Both this powder and the dry mustard offer the same consistencies since they are closely related plants. Most cooks would prefer adding wasabi powder in place of the dry mustard since it provides traditional condiments such as vinaigrette and mayonnaise an extra sip. 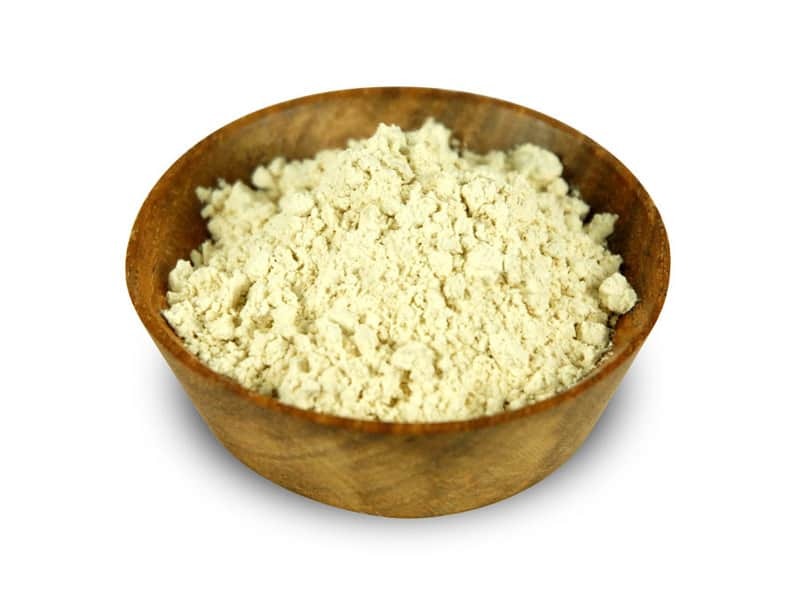 Nevertheless, this powder is a bit hotter than the dry mustard so be wary once substituting it wherein you only need to use smaller quantities. Though horseradish comes from a relative mustard plant, it is made from the root than the seeds. Indeed, the similarity between the two is the reason why this powder can be a substitute too. Horseradish can be a lot hotter compared to dry mustard making it perfect for those who are considered as adventurous eaters who want to have a spicy kick on their dish. Horseradish might lose its spiciness once heated, so this one is perfect for cold items only. There is a need to avoid grated horseradish as a substitute since it does not retain the pungency. If using this powder as an option, use only half as much as the recipe needs for mustard powder. Once planning to use turmeric as an alternative for dry mustard, use the same amount that the recipe requires. Because there is nothing to vary from turmeric which would transform the dish that might make it distasteful, merely follow through as you would the same with dry mustard. In most cases, it is added to some side dishes such as potato salad once dry mustard is not on hand. Besides, turmeric can replace dry mustard once it is not preferred. Most relishes could have turmeric as a substitute to dry mustard powder too. Just review the recipe and consider what is going to taste like with the chosen alternative. This one is safe to pick because it is always included in most dishes which need the main ingredient like mustard. 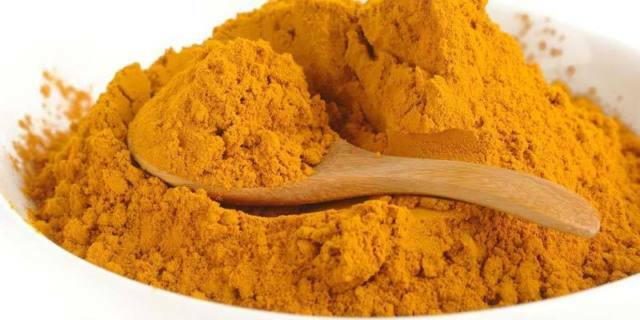 And also, since it adds yellow color to the recipes which would gain that from mustard powder, no doubt that turmeric is an ideal choice. How to Make Dry Mustard? There came a time that I run out of dry mustard supply, and so I don’t know what can I substitute for dry mustard. But with the substitutes mentioned earlier, it might not be a big deal on my part to worry whether what to use instead of dry mustard. And a great addition is the fact that making dry mustard could be possible. Yes, you’ve heard it right. Whole and fresh mustard seeds could be ground to dry mustard to be used in many dishes. If you crush the seeds with a pestle and mortar, it will lead to bigger pieces of cracked mustard which is perfect for creating pickles or deli-styles mustards. To make the powder, toast the mustard seeds for about 20 seconds in the dry skillet. After that, you need to cool the seeds and transfer it to a spice grinder then pulse up until you have a powder. Next is to pass the powder through a sieve in order to remove the hulls. Finally, blend a pinch or two of the turmeric together with the mustard to come up with a bright yellow associated with a condiment. But how to release the flavor of the mustard? If you want the mustard to release its sharp and pungent aroma and flavor of spice, mixing it with a liquid is a wise option. There is a need for the powdered seeds to be combined with cold liquid as this combination will lead to a chemical reaction therefore the mustard oil as well as the enzyme in the seed will produce sugar. The irritants will then provide the mustard with spicy feel and taste on the tongue. And if mixed with hot water, the said chemical reaction creates irritants which create a bitter flavor too. If you mix it with salt or vinegar, the col-mixed flavor of the mustard stabilizes pleasantly. Since I’ve been too curious about what can I substitute for dry mustard, I also want you to learn how to make mustard itself to at least lessen the burden. You might wonder if you can really make one. Well, if you have dry mustard, and vinegar, fruits, juices and spices making this familiar condiment that is used on almost everything is possible. For basic mustard, combine three tablespoons of white wine, cider, vinegar, fruit or sherry to a ½ cup of mustard powder. Add ½ cup of white wine or cold water and a teaspoon of salt too. You also have the freedom to add several tablespoons of whole or cracked mustard seeds along with honey to sweeten the taste and of course some favorite herbs to customize its flavor. What are the other uses of dry mustard? 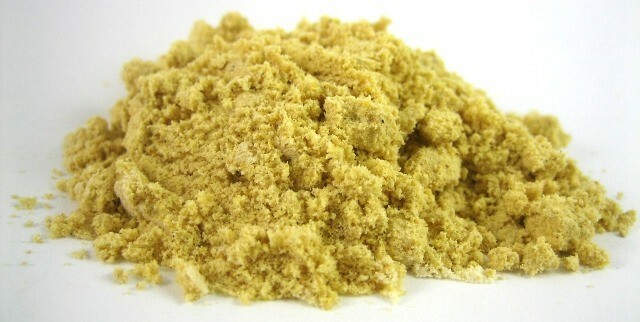 In different regional spice blends, mustard powder or dry mustard is indeed a significant component. The garam masala of the Indian cuisine combines with mustard along with peppers, garlic, turmeric, masa harina, cumin, and coriander makes a mix that is used for curries or dry cooking. 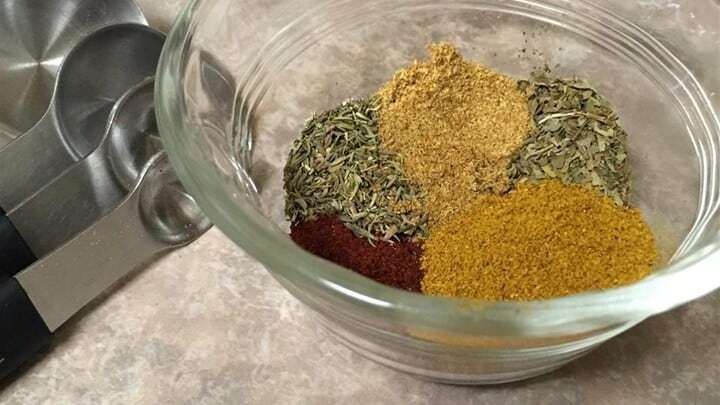 The spice rubs for barbecue might sometimes have mustard powder together with brown sugar, salt, garlic, paprika, cayenne, and pepper. And also, a bay-style piece blend might have dry mustard, cloves, bay leaves, salt, celery, cinnamon, mace, cardamom, peppers and ginger and is typically used to cook a crab. The seeds of mustards have high amounts of phytonutrients especially the so-called glucosinolates. These are a sugar-derived compound which is naturally found in most flowering plants. And they are great compounds that could help in protecting you against some kinds of cancer, lung cancer in particular. Mustard seed is known to be acidic making it a great source of omega-3 fatty acids. There could be of great benefit to those individuals with high cholesterol, heart disease, high blood pressure, depression, skin disorders, osteoporosis, menstrual pain, asthma and more. But, they are not intended to prevent or treat any diseases. You need to consult the physician before you take supplements or items with omega-3 fatty acids. Mustard seeds have a variety of minerals such as zinc, magnesium, iron, calcium, and phosphorous. And if you get enough amount of the said minerals, it would be necessary for the normal function of the many biological and biochemical processes within the body, and it could also help in preventing a mineral deficiency. 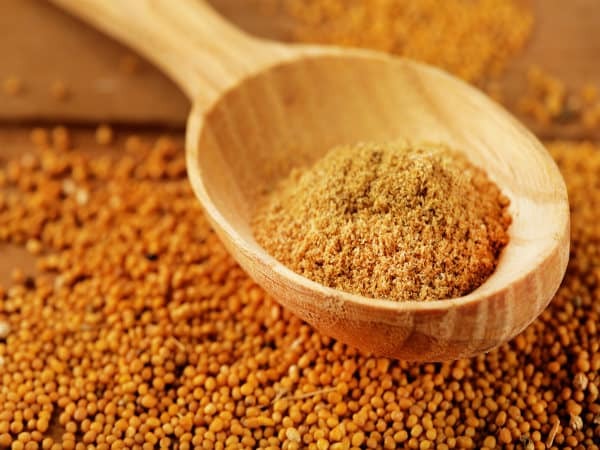 Dry mustard and mustard seeds offer the amino acid referred to as cysteine that acts as the antioxidant in the body. It protects the body from free radicals that are considered as harmful compounds in the body which damage cell membranes and DNA. And this cysteine might also be useful in most individuals that are suffering from influenza, bronchitis, angina and some other conditions. There you have it! You now have some of the best alternatives if you are also looking for a substitute to dry mustard. Like you, it will not be hard on my part to look for what can I substitute for dry mustard since I have various options to choose from. Along with that is the fact that I can even make dry mustard on my own and reap the benefits out of including it to the dishes! Liked this post? Feel free to leave your thoughts below and we will be pleased to entertain you. Hit like and share the article too!